The Contemporary Art Society and Henry Moore Foundation have formed a new special partnership, generously supported by Cathy Wills, to donate contemporary sculpture to museums in the UK. The initial four-year scheme will support Yorkshire as the UK centre of sculpture, with The Hepworth Wakefield and Leeds Art Gallery receiving a major work by a living artist each year. This year two works by Phyllida Barlow CBE RA have been acquired for Leeds Art Gallery and will go on display between 9 March – 29 September 2019. 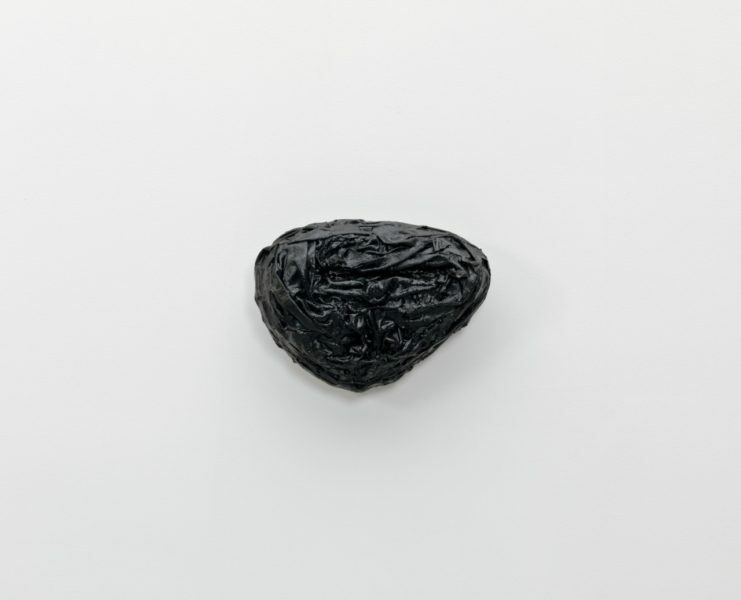 HOLD, 1986-9 is a glass form wrapped in canvas, then soaked in black bitumen and acquaseal rubber. It is a relatively early example of a tendency towards the use of household materials and ad-hoc processes that would emerge on a monumental scale later in her career, including through the Tate Britain commission dock in 2014, screestage (2013) shown in The Hepworth Prize for Sculpture at The Hepworth Wakefield in 2016 and folly for the British Pavilion at the Venice Biennale in 2017.
untitled: venicecolumns; 2016-2017, 2016-17 is a table-top version of one part of folly: a collection of models for the seven giant, stacked columns that occupied the main space in her 2017 British Pavilion commission. In this piece they are presented in the same materials – including cement, concrete, hessian scrim, pva, plywood, polyurethane foam – but at a studio scale, which recalls their origins in Barlow’s earlier and on-going making practice. 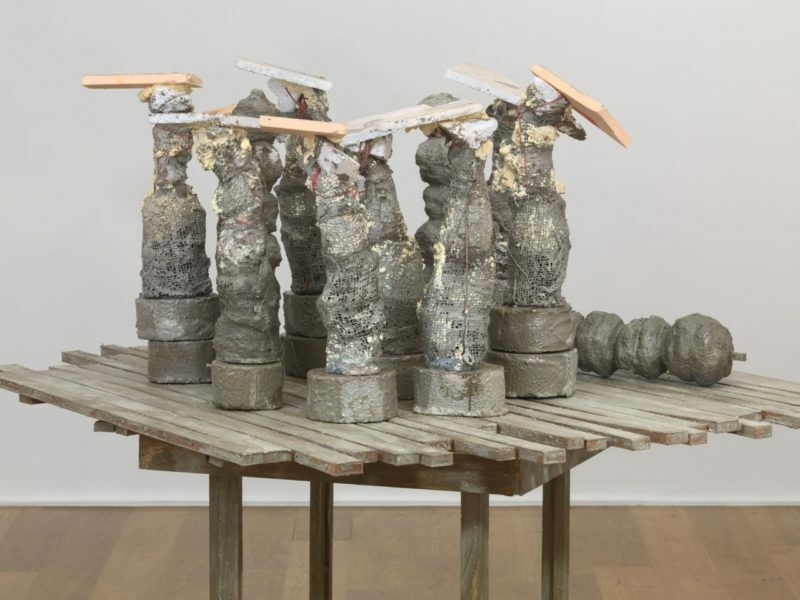 The two sculptures are the first three-dimensional works by Phyllida Barlow to enter the Leeds Museums & Galleries (Leeds Art Gallery) collection, however the gallery holds a collection of fifteen works on paper that covers a large proportion of her career from the mid-1970s to the early 2000s. 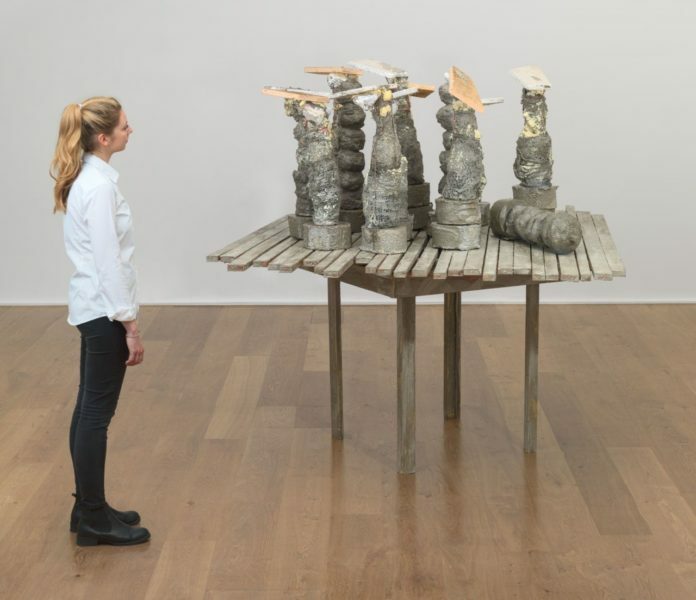 Barlow’s relationship with Yorkshire will also be reinforced through her role as the ‘provocateur’ for the first Yorkshire Sculpture International in 2019. The UK’s largest sculpture festival, YSI 2019 is a response to Barlow’s assertion that ‘sculpture is the most anthropological of the artforms’ and the free 100-day event will explore what it means to create sculpture today. HOLD, 1986-9 and untitled: venicecolumns; 2016-2017, 2016-17 will go on display at Leeds Art Gallery between 9 March – 29 September 2019.